A team of scientists venture into a mysterious zone created by a meteor impact. 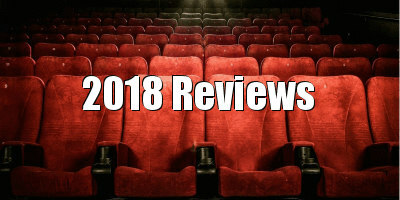 Netflix may have drawn in viewers with the recent sci-fi trio of Will Smith vehicle Bright, surprise franchise entry The Cloverfield Paradox and cult director Duncan Jones' future noir Mute, but critics and most viewers seeking sci-fi satisfaction were left cold. Faring much better is Annihilation, writer/director Alex Garland's visually impressive adaptation of the first book in author Jeff VanderMeer's 'Southern Reach' trilogy, which has won plaudits from critics in the US, where the film has been playing in cinemas. On this side of the Atlantic, sci-fi fans will have to settle for watching Garland's film on Netflix, thanks to original distributor Paramount getting nervy following test audiences' dismissal of Annihilation as 'too intellectual', and selling it off to the streaming service. Pulling from a variety of previous sci-fi texts, Annihilation borrows the starting point of Andrei Tarkovsky's Stalker, with an object descending from outer space and crashing into an area of land on the US coast, creating a 'zone' (here referred to as 'The Shimmer', due to the translucent oil-slick wall that surrounds it) in which the laws of reality no longer apply. When, following a two year absence, special ops soldier Kane (Oscar Isaac) returns home to his wife, Lena (Natalie Portman), from a secret expedition inside the Shimmer, he falls ill almost immediately. A group of soldiers take Kane and Lena to a secret facility on the edge of the Shimmer, where psychologist Dr. Ventress (Jennifer Jason Leigh) explains the situation to Lena, telling her of the many failed expeditions, and how Kane is the first to return from the Shimmer. Led by Ventress, Lena joins a group of women - all of whom are willing to risk their lives thanks to various forms of personal suffering - and ventures into the Shimmer, hoping to find a cure for her husband's condition. Once inside the contaminated area, things go all Blair Witch, with time and space losing all meaning, and the women coming under attack from a variety of mutated animals on their journey. Throughout his career as screenwriter (28 Days Later; Sunshine; Dredd) and director (Ex Machina), Garland has sought to unite the lowbrow and highbrow factions of science fiction. With Annihilation he gives us the guys (or in this case, gals) on a mission template of Aliens, mixing in ingredients from The Wizard of Oz (broken characters on a journey through an impossibly colourful landscape in search of a cure for their conditions), John Carpenter's remake of The Thing (mutated creatures, and aliens attempting to steal human identities), and Tarkovsky's aforementioned Stalker and Solaris (the temptation of reuniting with a not quite real but perhaps close enough substitute version of a loved one). The theme of a grieving heroine recalls recent acclaimed sci-fi drams Gravity and Arrival. Perhaps because he's throwing so much at the sci-fi wall, not all of it sticks, and Garland's film fails to satisfy on the same level as any of the movies it draws from. Yet though sci-fi fans will find themselves ticking off a list of influences throughout, there's enough visual innovation here to allow Annihilation to stand on its own. The mutated flora and fauna draws on the creepier elements of Oz or even Willy Wonka's terrifying chocolate factory, with faceless bears that scream in human female voices and alligators with the teeth of sharks, all populating a colourful world where the oil slick, rainbow-esque perimeter creates multicoloured lens flares. 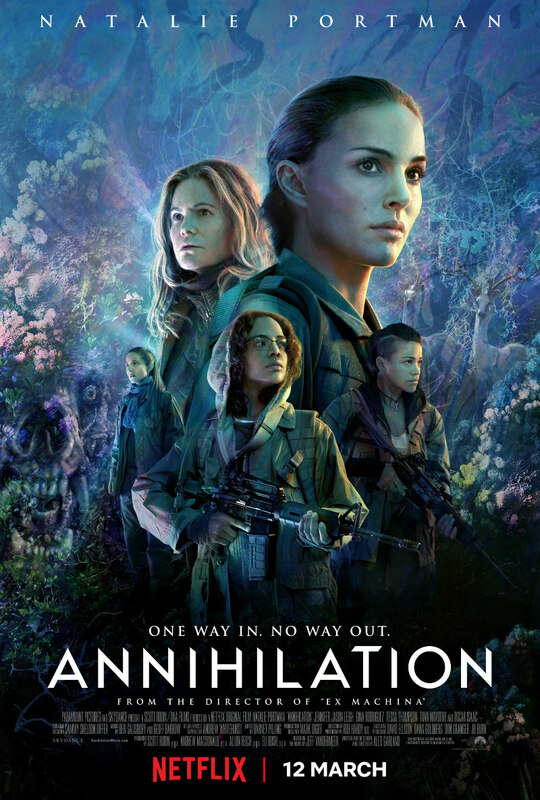 In its climactic scenes, and strongest moments, Annihilation morphs into an avant garde ballet, riffing on the mirror gag from the Marx Brothers' Duck Soup as a character attempts to evade a would be doppelganger. I've rarely been convinced by Portman's talents, but Garland mines arguably her strongest adult performance here, convincing us that we're watching a woman whose heart has been so broken she has little to lose. She's backed up by an excellent supporting cast, with Tuva Novotny and Tessa Thompson especially strong as similarly emotionally damaged members of her expeditionary force, despite relatively little screen time. 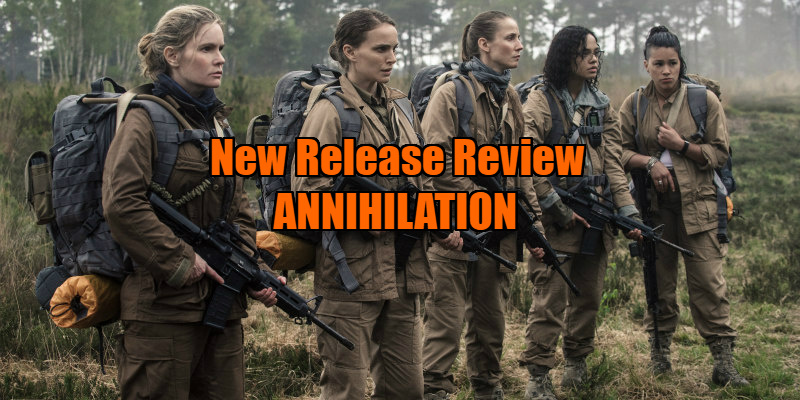 While its probably too light on action and explicit thrills to fully sate fans of more bombastic sci-fi, and lacking enough originality to earn classic status within the genre, Annihilation does enough with its melting pot premise to please an audience somewhere in the middle-ground, and hopefully Netflix's recommendation algorithm will lead its viewers on a path of sci-fi discovery of their own. Annihilation is on Netflix March 12th.